This article was written By John Berra on 29 Jun 2015, and is filed under Features. 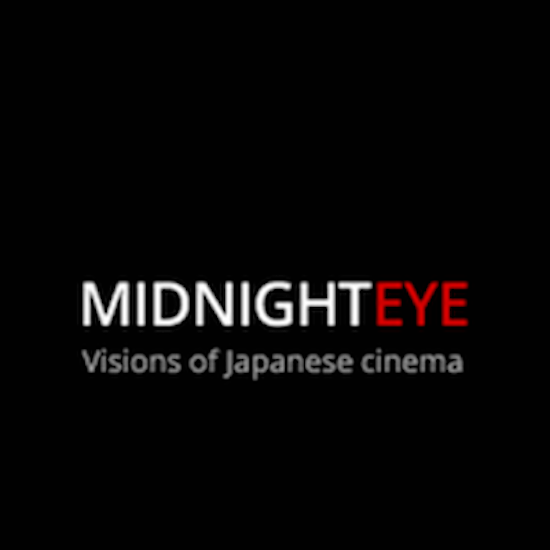 For fifteen years, fans of Japanese cinema have utilised the pioneering website Midnight Eye as their primary source of reviews, interviews, festival reports, and well-researched features. Established in 2000 by Jasper Sharp, Martin Mes, and Tom Mes, the website is almost as famous within the Asian cinema community for its stylish minimalist design as it is for its wealth of content, much of which has been devoted to championing innovative filmmakers like Shinji Aoyama, Shinya Tsukamoto, and Ryuichi Hiroki. By 2004, Sharp and Tom Mes had published The Midnight Eye Guide to New Japanese Film, a groundbreaking collection of reviews and director interviews that promptly became a must-have for aficionados and academics alike. Things go in waves (or in circles), so surely these recent developments in Japanese film (and hopefully those in politics too) will eventually be replaced by other trends. That an increasing number of directors are looking to make films overseas is both a sad consequence of the current situation and an opportunity to redefine our views of what constitutes a “Japanese film”. But the current situation and the films it engenders do not exactly fill us at Midnight Eye with the enthusiasm we need to keep this website running when so many other important things require attention. The team’s frustration with the increasingly corporate direction of Japanese cinema is entirely understandable. There are occasional flickers of cinematic life from Japan – And the Mud Ship Sails Away, Be My Baby, Greatful Dead, The Light Shines Only There, The Tale of Iya, to name some recent titles that are worth seeking out – but quality has been undeniably inconsistent on the whole. Japanese cinema is well represented internationally by events such as Nippon Connection and JAPAN CUTS, but relatively few distributors are willing to take a chance on titles that are not directed by established names like Hirokazu Koreeda or Takashi Miike, meaning that the kind of films that Midnight Eye was set-up to cover have been less likely to reach readers who are not regular festival attendees. Fortunately, Midnight Eye will remain where it is for the time being. Its archive offers a veritable treasure trove of resources for anyone researching Japanese cinema, especially the halcyon period of the late-1990s to mid-2000s when Japan’s independent sector was steadily producing attention grabbing films that ranged from socially provocative auteur projects to crazed genre flicks. Throughout the 2000s, Midnight Eye chronicled the rise of J-Horror and witnessed the Asia extreme explosion, but its writers never jumped on the bandwagon and continued to seek out new titles that deserved serious discussion and further exposure. Just as useful as its library of film reviews and features is the website’s extensive selection of book reviews, which provides a thorough overview of available texts on Japanese cinema. Midnight Eye has been an enormous influence on the many websites that have sprung up in the past decade with the aim of providing in-depth coverage of Asian cinema, including VCinema. As such, we would like to thank Jasper Sharp, Tom Mes, and Martin Mes for blazing an uncharted path that spans the initial years of web-based film criticism to today’s over-saturated virtual landscape where the rigorous approach of Midnight Eye sets the standard to which all newcomers aspire.